Welcome to the Yew Tree Inn situated in the village of Chalvington in the beautiful Sussex countryside, close to Hailsham, Lewes and Eastbourne. The pub is thought to have been a coaching inn since 1860 and always known as the Yew Tree, with some areas dating back to 1642. 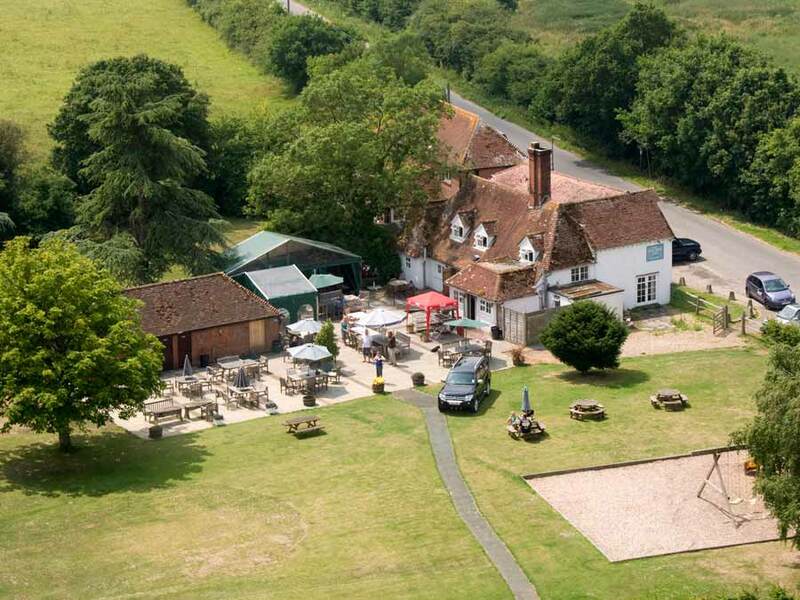 Today, the Yew Tree Inn Chalvington is set in 7 acres of beautiful Sussex countryside and is a traditional pub and free house offering a range of beers, including guest real ales from local breweries and delicious home cooked food. We are a child and dog friendly pub with a large patio, children's play area, extensive grounds and a wonderful large conservatory - perfect for parties. Chalvington is a wonderful area for walking and cycling, with both the South Downs Way and the Vanguard Way passing close by. There are also plenty of places of interest such as Lewes Castle, Pevensey Castle and Alfriston within easy travelling distance of the Yew Tree Inn. 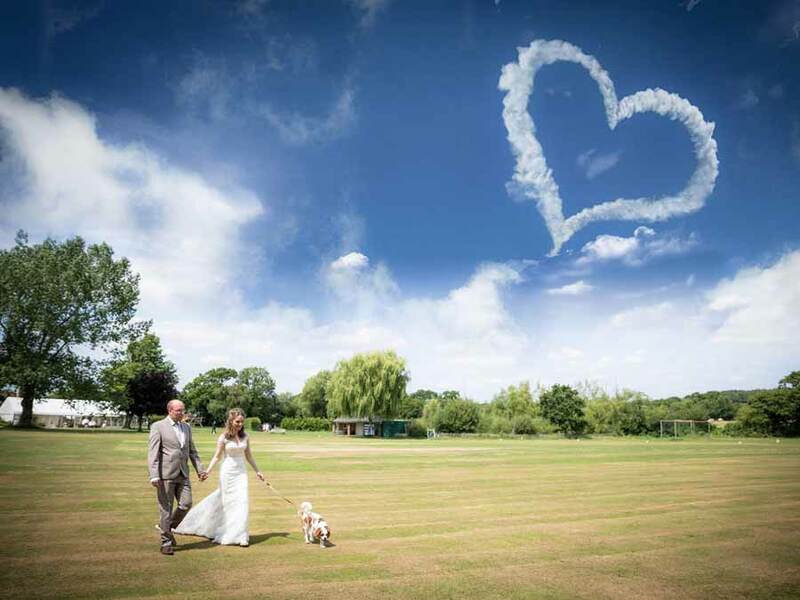 The grounds at the Yew Tree Inn Chalvington provide a beautiful location for your wedding reception. We have a magnificent marquee available from April to September, which has its own bar and dance floor. A private patio outside the marquee overlooks the lawns and gorgeous gardens and provides access to a cricket pitch and a children's play area with swings, slide and climbing frame. The marquee seats between 50 to 140 guests with room for a further 100 or so evening guests. 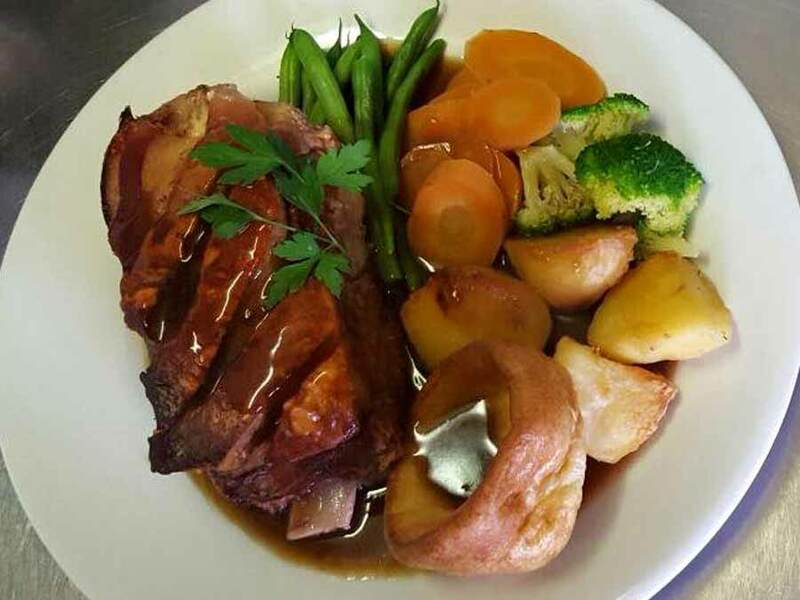 We offer a selection of different menus and drinks packages to suit the relaxed atmosphere of our venue and a variety of tastes. Please see our Weddings page for details or download our Wedding and Menu brochures. New Season. New Menu. Please take a look at our Main Menu now with vegetarian & vegan dishes. The Yew Tree Inn has been the home of Chalvington and Ripe Cricket Club since 1762 and games continue at the Yew Tree Inn Chalvington each Summer. Contact us if you would like to join in. You can camp at the Yew Tree Inn Chalvington for just £10 per tent per night or £15 per camper van per night, with great pub food and real ale right on site!